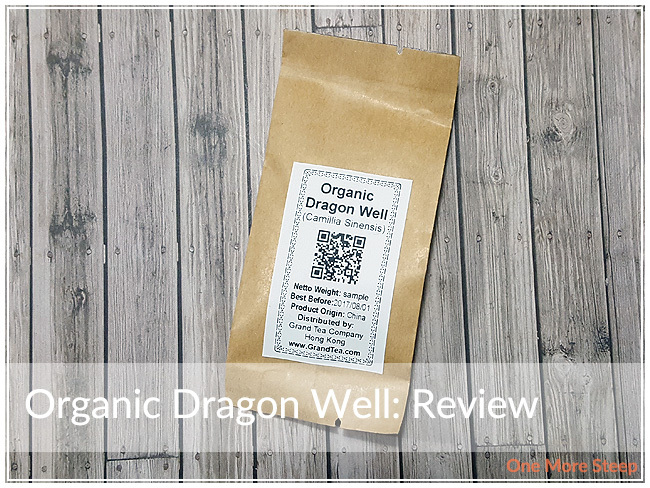 Grand Tea has provided me with Organic Dragon Well for the purposes of providing an honest review. I received this product at no charge to me and received no other compensation. This is Organic Dragon Well from Grand Tea, a tea company from Hong Kong. I was really excited to receive this sample because I like green teas. This is a lightly roasted green tea, which smells amazing. There’s a light seaweed smell because there’s a salty smell to it, and there’s a vegetal aroma to the tea that reminds me a lot of tomatoes. From Grand Tea’s website, I learned that the tea is European certified organic and is free from chemicals and contamination. There were not ingredients listed, so I am writing on the assumption that this, like most other Dragon Well teas, is a straight green tea. 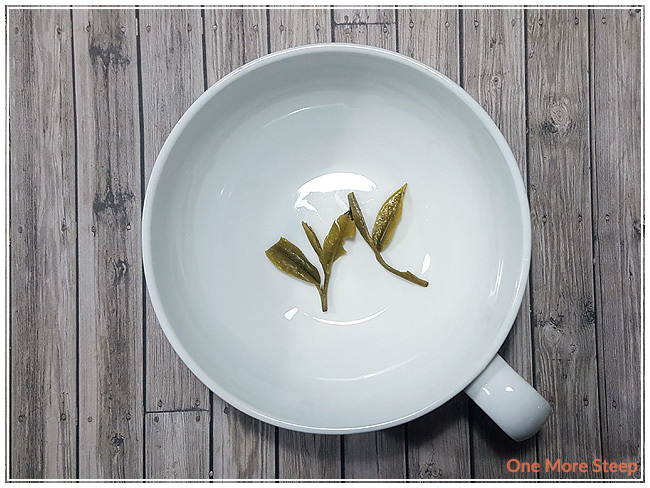 Dragon Well (or Longjing Tea) is a pan-roasted tea that is quite well known, so I was excited to see this one in my package from Grand Tea. 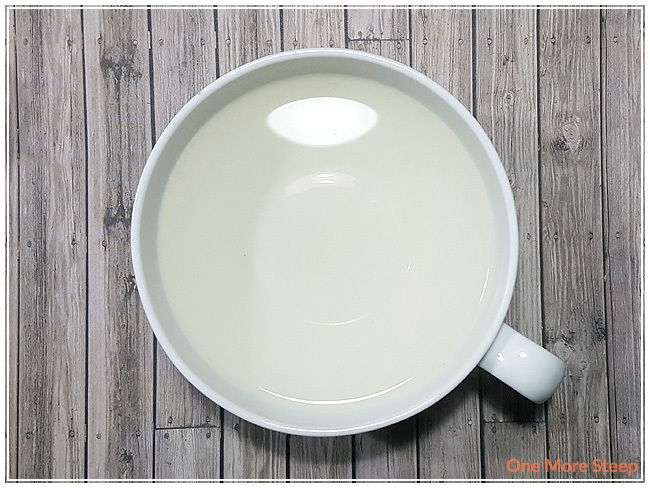 Grand Tea’s product page for Organic Dragon Well suggests steeping this tea gong-fu method or in a tall glass. I’m not quite as sophisciated, so I steeped mine in a tea pot with a stainless steel infuser. I steeped Organic Dragon Well in 80°C (175°F) water for an initial steep of 1 minute. Organic Dragon Well steeps to a very pale yellow-green colour when steeped for a minute. There’s a light vegetal taste that has a mild salty flavour that reminds me a lot of seaweed snacks. I noted a nutty flavour at the end of each sip, which goes well with the salty flavour because it reminds me of having roasted nuts as a snack. The tea has a nice warming feel to it, kind of like how ginger does (but without the ginger taste), as well as a good smoothness to the tea with zero noted bitterness – a trait I always appreciate in a tea. Organic Dragon Well resteeps fairly well. 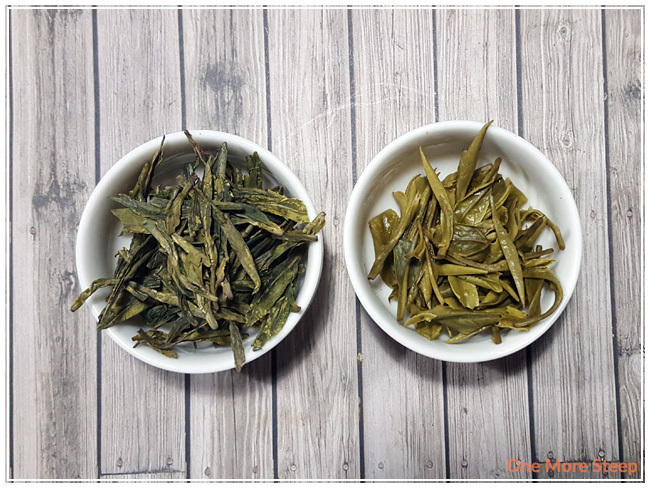 For the first resteep, it becomes darker in colour and has a slightly saltier notes that really adds to the total umami flavour of the tea. I steeped Organic Dragon Well for a total of five resteeps (so a total of six steeps with the same batch of tea leaves). The flavours were fairly good to the fourth resteep, but the fifth resteep was fairly lacking in flavour. I loved Grand Tea’s Organic Dragon Well. I always do appreciate a cup of tea with a complex flavour profile, and Organic Dragon Well does not disappoint in that department. For those that do not like a little bit of salty flavour in their tea, they may be a bit turned off by Dragon Well, but I think it is enjoyable – then again, I grew eating seaweed snacks. If you’re a fan of seaweed snacks, I think you’ll like this Organic Dragon Well green tea. 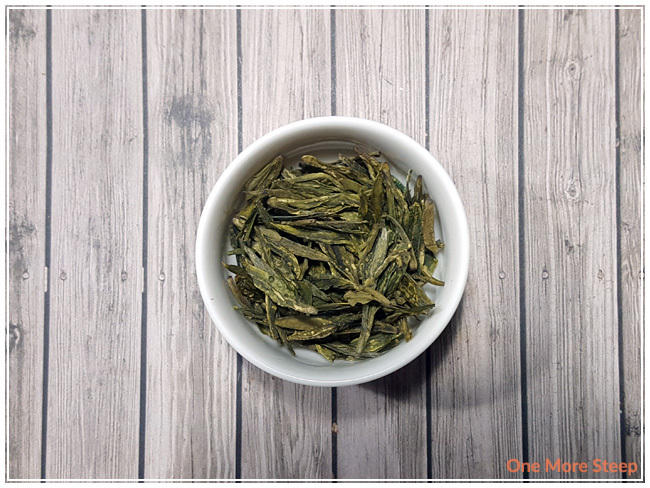 The saltiness works well with the roasted nutty flavours that come together in this pan-roasted green tea. Curious about the cup rating system? Click here to learn more. Hi, I'm Michelle and One More Steep is my tea blog. I'm a self-proclaimed tea enthusiast and I'm all about sipping my way through every tea that comes my way. Find out more. Unless otherwise stated, any prices mentioned are in Canadian dollars (CAD $).